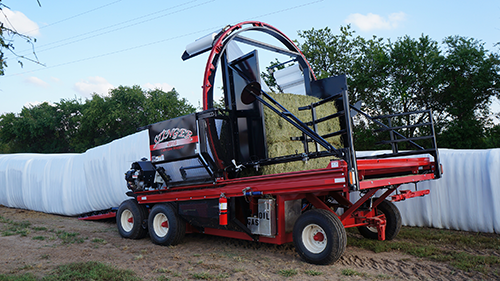 The huge 112" x 104" wrap chamber and remote controls from the loader allow you to wrap more than 100 tons per hour. 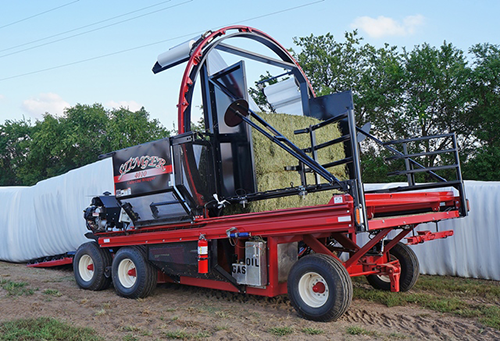 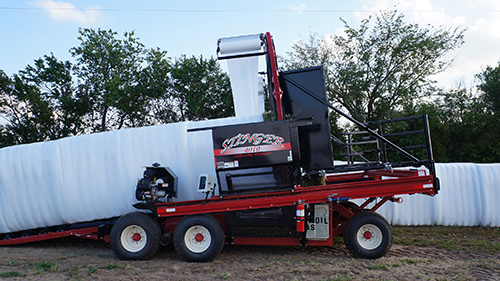 the Cube-Line Bale Wrapper will handle bales up to 8-feet long - 4x4 bales stacked 2-high or 3x3 & 3x4 bales stacked 3-high - and it will also wrap round bales. 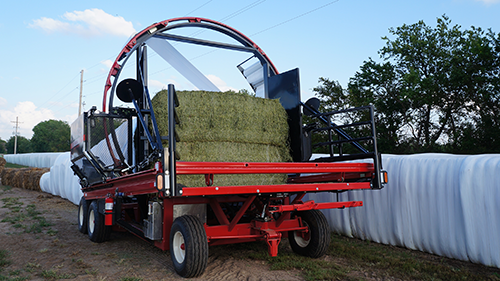 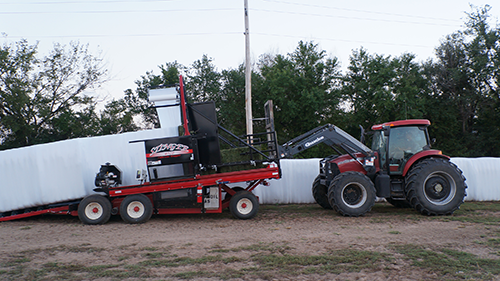 You can use 2 or 4 rolls of plastic to continually wrap bales as they are fed into the machine. 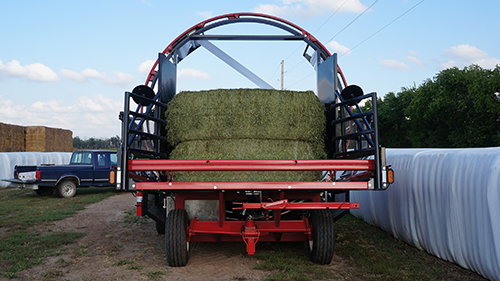 The speed control allows you to put from 2 to 10 layers of plastic. 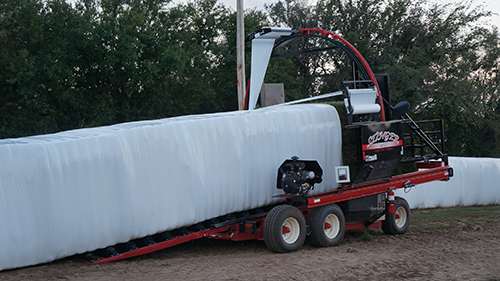 Compared to other wrapping operations, the Cube-Line wrapper can save you from 30% to 75% in plastic costs.